Make your special someone smile this Christmas with a box of smiley Christmas face Cookies. 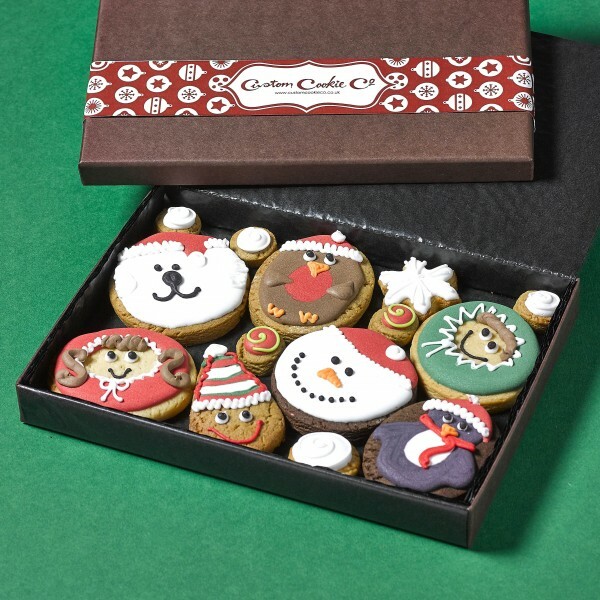 The box includes Robin, Penguin, Eskimos, snowman, Polar Bear and Elf cookie faces as shown. Cookies are a mix of vanilla, chocolate and ginger flavours. Personalisation is not available with this gift box.